As defined in the SAG Terms of Reference, the SAG consists of ten members and the two GSC co-leads, IFRC and UNHCR. The SAG agreed that electronic elections will be held if there are more than ten organizations that express an interest to be SAG members. Each of the GSC partners will receive a code by email which will allow them to cast one vote and select the ten organisations that should be in the SAG in 2019. The code will be sent to those people working in that organization who engage with the GSC. It is up to them to decide who will vote on behalf of their organization. Each organization can only vote once. SAG member in 2018 Australian Red Cross (ARC) have a strong shelter focus and are committed to promoting and supporting GSC objectives and operations at country, regional and global levels. ARC have made ongoing financial and technical contributions to the GSC for a number of years supporting response activities, coordination team deployments, preparedness workshops and other strategic activities. We hold a number of experienced cluster delegates on our roster, but have also been continuing to support capacity building of country level partners with the aim of building a foundation for more effective and localised humanitarian response. ARC is engaged with a number of working groups and CoPs within the GSC and are involved in ongoing activities/ investigations around HLP. Since being elected as a member of the GSC SAG last year, ARC has also worked together with NRC, IFRC and IOM to set up the Inclusion of Persons with Disabilities Working Group, which we jointly co-lead. ARC are particularly interested in contributing to more inclusive and accountable shelter and settlements response. If elected, ARC will continue to support the delivery of the GSC strategy objectives and advocate for the critical role of shelter and settlements in humanitarian response and recovery. We will continue to work on more effective and collaborative preparedness activities, from country level HLP and environmental mapping, to mainstreaming inclusion tools, to investigating and testing urban assistance mechanisms as well as maintaining a strong ability to provide surge support to the GSC. ARC will also work to ensure that the voice of local/regional organisations, particularly from the Asia-Pacific region, are heard at a global level and contribute to a more localised shelter response capacity. SAG member in 2018 One of the leading shelter agencies in conflict and disaster CARE has an established shelter team with a global remit within a dual-mandated humanitarian and development agency. CARE has consistently been part of the SAG since its establishment in 2012. It currently co-leads the Promoting Safer Building Working Group with CRAterre and participates the Shelter and Cash and GBV in Shelter Programming Working Groups, as well as leading the Cluster’s Gender & Diversity Community of Practice. CARE provided input to various GSC initiatives including the development of the GSC 2018-2022 strategy, guidance on GBV prevention in shelter responses and the forthcoming State of Humanitarian Shelter and Settlements report. CARE also regularly hosts the UK Shelter Forum and seeks to support other sectoral initiatives where it can. CARE remains committed to continuing high-quality shelter programmes with technical support that advances gender equality and women’s empowerment. CARE will continue to seek to use cash as an empowering modality for shelter interventions and further the research and development of self-recovery approaches to shelter programming in ways that maximise the agency of the people that we aim to support in their recovery process. CARE has a strong shelter research evidence base with researchers embedded within the technical team and close collaborative links with several leading academic and research institutions as well as other shelter agencies. CARE is keen to collaborate with other agencies in a variety of ways including via ongoing and future GSC WG initiatives and research. CARE is committed to its continued focus on GBV and other gender-related issues in shelter responses and aims to strengthen the Gender and Diversity Community of Practice. Through our presence in over 90 countries CARE is in a strong position to promote localisation and increasingly works in partnership with local organisations in its shelter responses. Co-chair of the Urban Settlement working group, where we have been making progress in the Area based approach, definitions paper, inclusion into Sphere, and the collation of case studies. We hosted a half day conference with shelter Centre and IMPACT where UNDP, CCCM, OCHA, GAUC were all present and we gained consensus on the merit of the approach in specific contexts, we continue to host webinars with the working group where we have 100 members in the mailing list. The work of the WG was highlighted and supported at the IASC Emergency Director meeting in NY. This WG is going strong making head way but need more time and energy to mainstream. Ongoing cash/markets champions support to in-country clusters and sectors Bangladesh, Yemen, South Sudan and Afghanistan. Active member of the Promoting Safer Building WG. Active member of the GSC Cash WG – currently drafting rental market guidance. Active member of the Environment CoP – offering environmental advice. Offered two articles in the SOHSS report – “two worlds apart”, about how the humanitarian sector and civil society speak different languages, “weight of a standard” – about the wisdom contained within standards. Facilitated a global sector wide consultative process for the revision of the Sphere standard 2018. Hosted UK Shelter Forum in Watford. CRS is currently the lead coordination body for the Housing Recovery and Reconstruction Platform (HRRP) in Nepal where different lessons can be extracted. CRS have been supporting Caritas Bangladesh in the Rohingya response to take on deputy coordinator role. CRS is interested and committed in progressing the work around area-based approaches, not only do we believe that a slight reorganisation in coordination structures would result in increasing the impact of humanitarian assistance, but excited that this work could lead to open up space for new ways of delivering appropriate assistance. Technical expertise and recovery strategies are at the core of CRS’ global shelter and settlement advisors team, we would like to increase our contribution to technical and recovery coordinator posts in years to come. CRS continues to champion best practices in urban responses we would like to lead discussions, contribute from experiences and add to the commitment made at Habitat 3. CRS is co-chairing Caritas Internationalis Shelter and Settlement WG with Cordaid, the group has 7active member countries (Caritas Malawi, Philippines, Bangladeshi, Germany and Myanmar) and are looking to expand their reach. CRS would like to broker a closer tie with the Caritas organisations and champion the localisation agenda. SAG member in 2018 DRC has been contributing at SAG level for the first time during the current year, 2018. We have been active participants of number of Working Groups (Shelter Projects, NFI, Construction Standards Working Group, etc.) and lately, we have also organized, in coordination with IOM, the first Shelter Forum in the East African Region (funded by the European Union and USAID). Guided by our vision of a dignified life for all displaced persons, the two-day event brought together shelter practitioners, academics and other relevant stakeholders under the theme ‘Learning from the past’. The participants collectively shared experiences and reviewed case studies from the Shelter Projects publication focusing on “what worked well” and “what didn’t work well” in the implementation response options to conflict, natural disasters and complex crises. DRC has been also chairing the Construction Standards Working Group in the past year and we look forward to many opportunities in the region, and on the global stage, to support the quality in construction and the longer-term shelter needs for displacement affected people. DRC is very keen to continue to engage at global level and it would be very much interested to be elected member and part of the SAG 2019. Moreover, our initial investment on the global shelter level that was planned for this year, will be allocated for the upcoming new year with the intention to establish a permanent position of the organization at global shelter level. This is an indication that shelter is becoming more and more an important initiative for DRC and that we are prioritizing it at the global level. Moreover, DRC would be very interested to continue pursuing the recommendations included in the "Construction Standards" document and to roll-out more initiatives that would advocate for better constructions also in line with the new Global Shelter Strategy (to which we have also contributed). SAG member in 2018 HFH has been a consistent contributor and partner of the GSC for many years. At field level HFH has co-led clusters in El-Salvador and Fiji and seconded technical staff in countries such Nepal, Peru and the ongoing 'cluster like' response in Bangladesh - as well as actively participating as a cluster partner in many more emergencies. HFH has funded the participation of promising staff from HFH national organizations in the cluster training to increase the pool of qualified individuals from disaster prone countries. At global level HFH has been a member of the SAG since its inception and helped drive forward the development of governance processes and aspects of policy and strategy. HFH have chaired the Cash Working Group and contributed significant time and resources on representing the sector and cluster in the global cash discussions as well as actively engaging in and making resource contributions to a number of other cluster initiatives and working groups such as Shelter Projects and the Environment CoP. As well as all ongoing initiatives HFH is committed to further evolving the discussions around the use of cash in shelter and in particular linking response to recovery through developing markets based capacity and understanding in the sector. The recovery space will be an area needing further support with the demise of the early recovery cluster and HFH is keen to see how best to support this vital gap. We have been supporting the GSC in a number of ways over the past years. In addition to being SAG members we also provide assessment capacity to the GSC support team, co-chair the GSC working group on settlement approaches in urban areas, as well as providing admin and logistic support for the organisation of a number of GSC activities. We would continue focusing and supporting the GSC with assessments, urban response, settlement approaches and admin/logs support. InterAction has been active in GSC activities and a SAG member since its inception. Contributions for instance include co-chairing several GSC Working Groups, promoting GSC strategies, providing a platform for GSC and its partner initiatives and leading and facilitating strategic S&S issues like Settlements Approaches, multi-sectors collaboration, GBV, HLP and Cash discussions. We take up key in-country challenges facing implementing partners with USG, UN and IASC bodies. Conduct field visits to understand and capture lessons and challenges. Development and promotion of online S&S training targeting national practitioners (currently in translation into Spanish, Arabic and French). SAG member in 2018 IOM's primary focus is on field level coordination and operations and currently has a role in 24 country shelter coordination mechanisms, spanning formally activated clusters to working groups, with roles from includes shelter coordination, sub-national coordination, technical support and information management. in addition to this IOM was one of the largest shelter agencies, being responsible for direct implementation of over 30% of shelter cluster delivery as reported by the global cluster for 2017. IOM has also had a leading role in multiple working groups of the Global Shelter Cluster, currently focusing support to the Inclusion of Persons with Disabilities Working Group and the Shelter Projects Working Group. Develop capacity and staffing to deliver quality shelter assistance. Develop a solid evidence base and learning for shelter assistance. Maintain and develop the role of the global cluster to enable coordination and networking between humanitarian operations staff. Maintain and advocate for the profile of shelter in humanitarian operations. SAG member in 2018 NRC remains a strong supporter of the Shelter Cluster, both at the global- and country-level, and has been part of the GSC SAG since the beginning. Over the years, NRC has been part of numerous working groups, including Shelter Projects, and contributed to the initial Shelter Cluster Coordination trainings. NRC has led national-level Shelter Clusters (e.g. Palestine) and has also co-lead Shelter Clusters (e.g. Iraq). Most recently, NRC, through NORCAP, is supporting the GSC Roving Shelter HLP Advisor position. NRC has also seconded staff to other global and country-level cluster positions through our External Deployments Department. The GSC requires champions at the global and country level, and NRC looks forward to continuing its work on promoting Shelter-HLP as part of quality shelter programming, and to building capacity within the GSC. NRC also looks forward to continuing discussions on advancing the GSC strategy and to supporting the different GSC working groups. 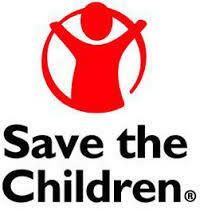 Save the Children have been members of the SAG for two year during which time we have contributed to the development of the cluster, attending calls and meetings as required and inputting on key documents. We are proactively advancing the sector cash capacity as joint 'cash champions' and also led the Construction Standards Working Group in and produced the Construction Good Practice Standards. During next period we will work with implementing partners and donors to raise the profile of this document and ensure that is becomes established as a cross-sector standard as a final version is published. As part of our cash champions responsiblity we shall develop a Labour Market Analysis tool along with a Cash and Shelter Training as our contribution to the development of cash and market based approaches in the sector. As contributing SAG members to the updated strategy we are interested to advance the sector against the strategy priorities. In addition to advancing other themes such as settlement based response, we are currently working with Arup on a child (vulnerable) friendly settlement concept. More consistant and joined up vunerablity targeting/scoring, amongst other interests. UN-HABITAT has contributed to the GSC in terms of urban shelter recovery, resilience building approaches, community centric recovery approaches, engagement of sub-national governance structures including Mayors and Local Authorities and awareness raising of broader urban issues. UN-HABITAT has actively participated in the GSC SAG bringing in the above perspectives. The SAG member is also a member of the Emergency Directors Group which provides an opportunity for additional advocacy on shelter related concerns at a 'higher' level. UN-HABITAT has also contributed to bringing shelter issues to the World Humanitarian Summit, Habitat III, World Urban Forum (WUF9) as well as through the Global Alliance for Urban Crises. UN-HABITAT, through partnership with other agencies and organisations, will continue promoting greater linkages with shelter recovery, urban settlements and development, using the crisis event as an opportunity to realise significant development gains for those furthest behind.